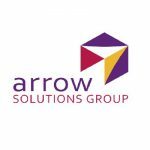 Arrow Solutions Group Career Opportunities – Project Manager, CIO, Senior .Net Developer and more…. Arrow Solutions Group Career Opportunities- Colorado, North Dakota, Montana and more…. One of the most frequent questions we get from hiring managers and employers is: how can I assess job candidates for soft skills? Why is micromanagement becoming popular? Wasn’t it considered bad? Often times; however, I believe that managers who are micro-managing aren’t really intending to micro-manage people, they are really trying to micro-manage the outcome – and this is not necessarily a good thing. Your boss probably wants you—nay, needs—to keep you around, and might just fatten your paycheck for your troubles. World Economic Forum’s "Future of Jobs Report" reveals the top 10 job skills required for workers to thrive by 2020. IT Careers with Arrow Solutions. Build a career you can thrive in. Finding a new job can be challenging and we try to make that process as smooth as possible. Our expertise in many verticals allows Arrow Solutions Group to offer customized information technology recruiting and staffing solutions. Career Opportunities from Arrow Solutions Group – IT Service Support, CIO, Senior QA Engineer and more…. Arrow Solutions will seek a forward thinking, IT strategist who has a love of community and can understand the geographical footprint of Billings Clinic and its patients.